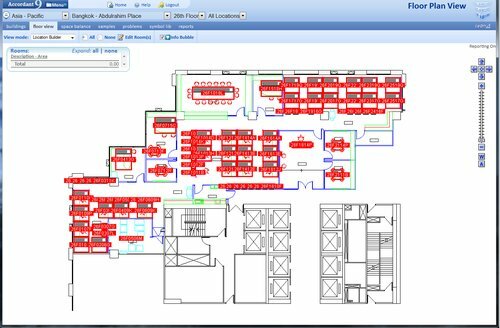 This section allows you to maintain and edit the locations on a floor. 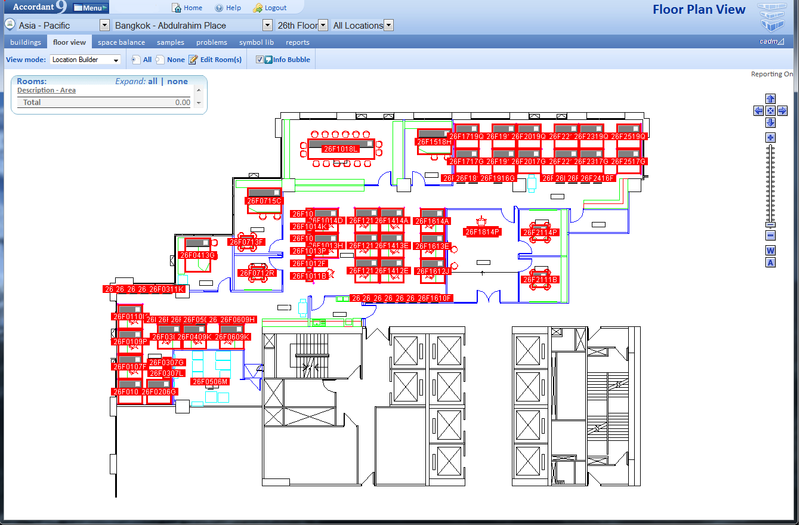 This gives another way to edit the locations on a floor, without the need to open a CAD plan. Locations are represented by red boxes with a grey title bar and a unique location number. The size of the location can be defined by dragging and resizing the red box, clicking within the box allows it to be dragged and moved to a new location.